Right now I am reading one of the best books I have ever read, The Perfect Mile by Neal Bascomb. It is the story of Roger Bannister, John Landy, and Wes Santee; three runners each attempting to be the first to run a 4 minute mile. 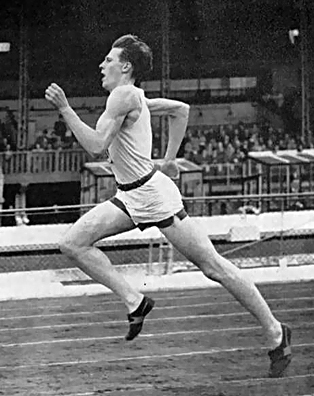 On a day marked by inclimate weather, a day in which he almost decided not to run, Roger Bannister broke the 4 minute mile – 3:59.4. Later that evening Peter Dimmock, “the honored statesman of British broadcasting, asked Bannister why he finally decided to go for the record despite the weather. So here’s question for you and me – what do you dream of doing? Why aren’t you doing it? Train hard then run! Prepare well then go for it! Stop waiting! Get on your mark. Get set. Go! “The Perfect Mile” is one of the best written books I have ever read! I literally find myself leaning forward with anticipation and squeezing out time for another chapter! Job well done Neal Bascomb! This book is packed to the edges with stories of sheer determination, huge heart and iron clad will. I LOVE this story!